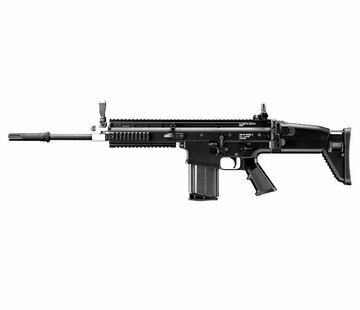 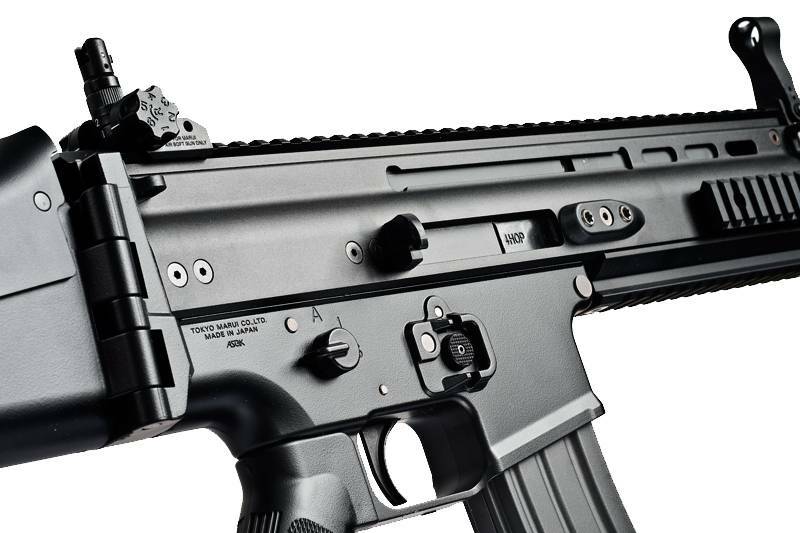 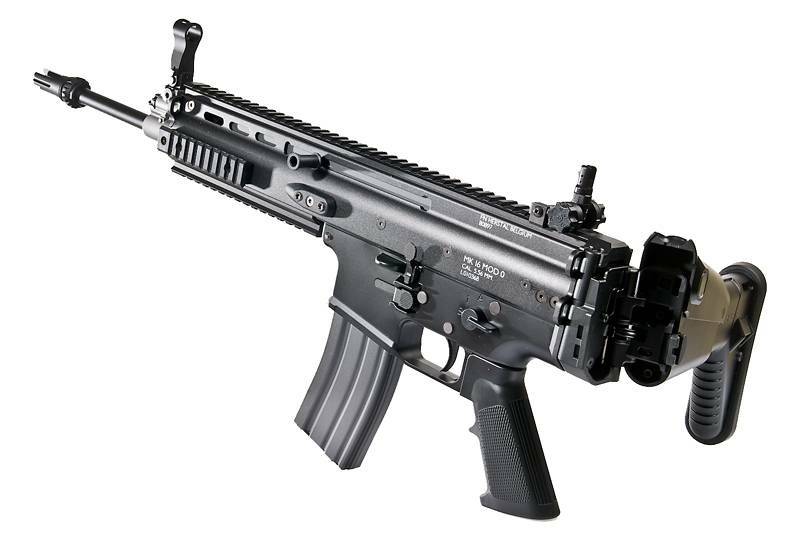 Tokyo Marui NEXT-GEN SCAR-L (Black). The real steel Combat Assault Rifle (SCAR) is a modular rifle made for the United States Special Operations Command (SOCOM) as one of the proposed projects to satisfy the requirements of a competition to find a new rifle. 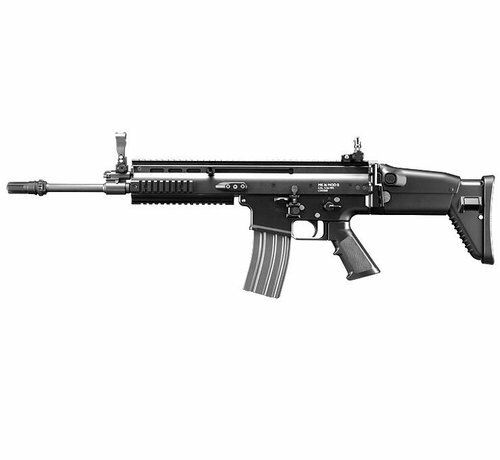 This family of rifles consist of two main types, the SCAR-L (light) is chambered in the standard 5.56 x 45mm NATO cartridge whilst the SCAR-H (Heavy) is chambered in the heavier 7.62 x 45mm NATO cartridge. While purchases of the MK 16 SCAR-L variant by SOCOM have been canceled, the MK 17 SCAR-H variant is still being acquired. 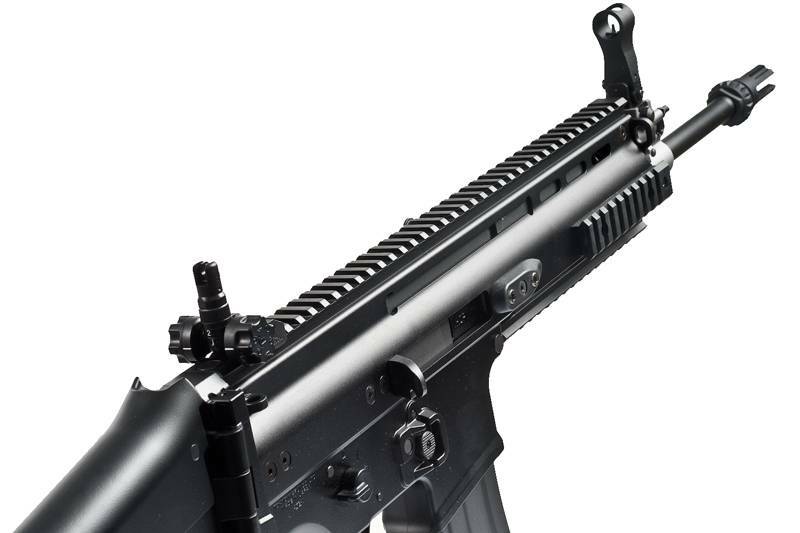 The otherwise abandoning of the SCAR-L has done nothing to temper its subculture popularity however, with its numerous appearances in a vast number of computer games, TV shows and movies. 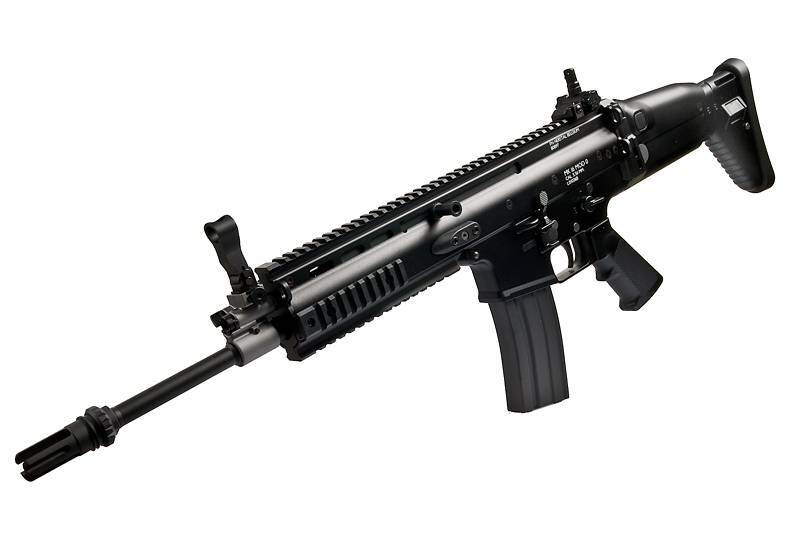 Tokyo Marui previously released their new electric blowback AEG in the form of the SOPMOD M4 and its variants, the very same technology now appearing in this SCAR-L model. 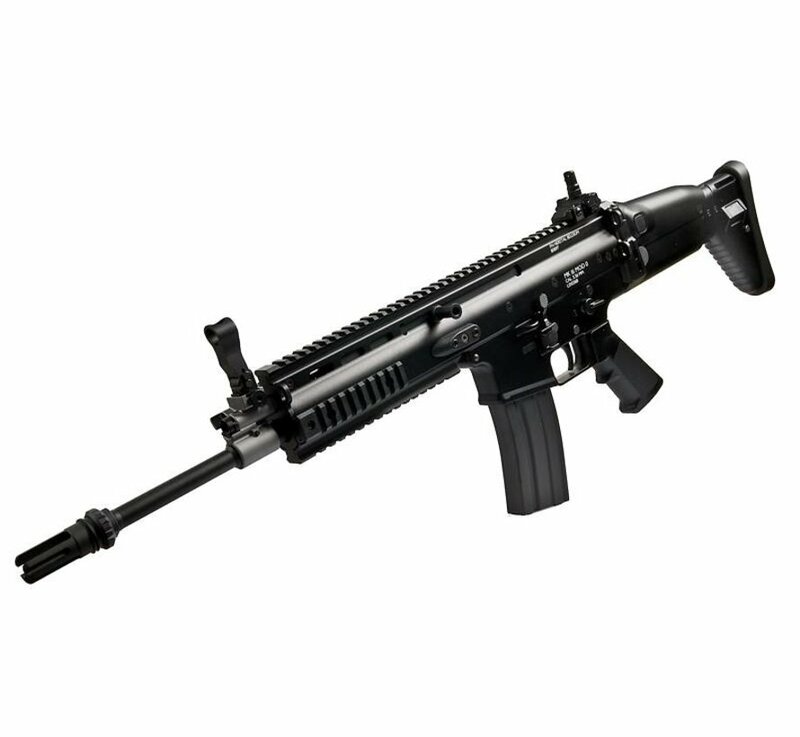 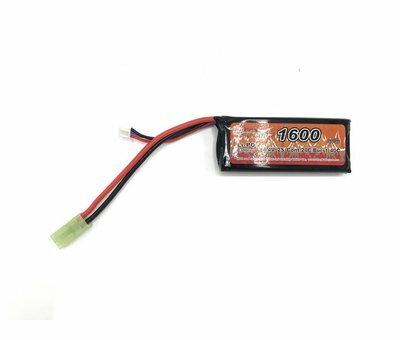 With the same recoil blowback features and improved hop-up it promises advanced performance but runs on a normal small battery and not the special SOPMOD battery which makes upkeep somewhat simpler. 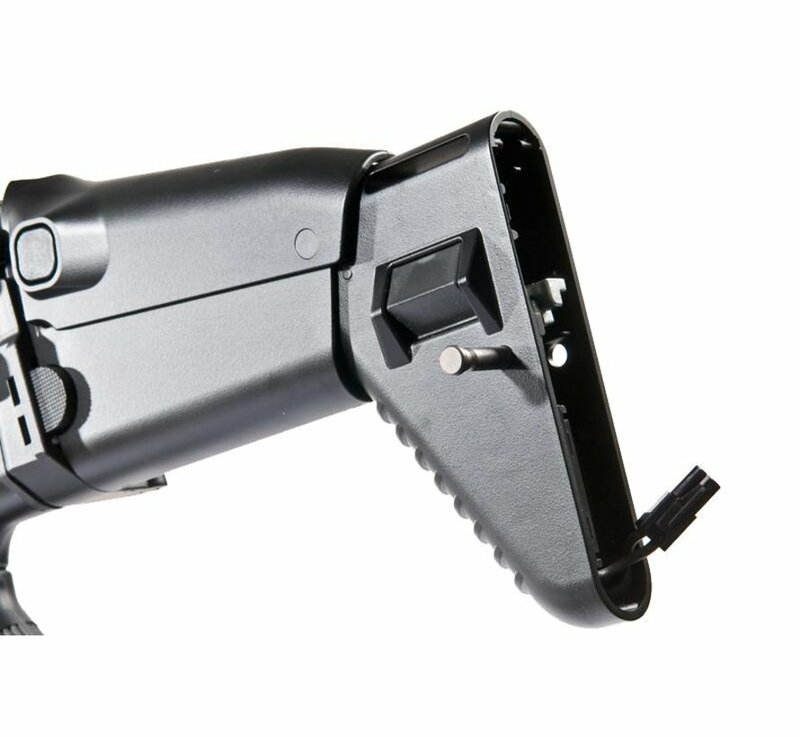 Just like the original SOPMOD M4, with a charged battery attached and a loaded magazine inserted the weapon will recoil with each individual shot fired. 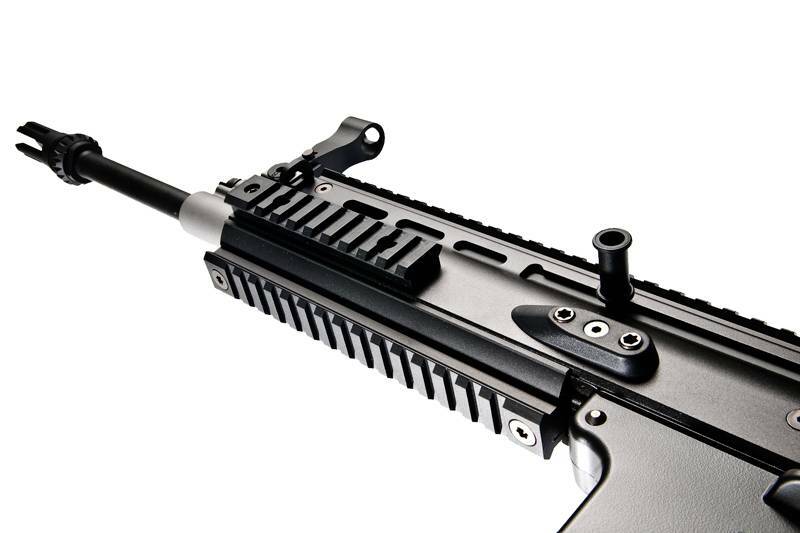 The dummy bolt will cycle and interior momentum will generate a felt kick. 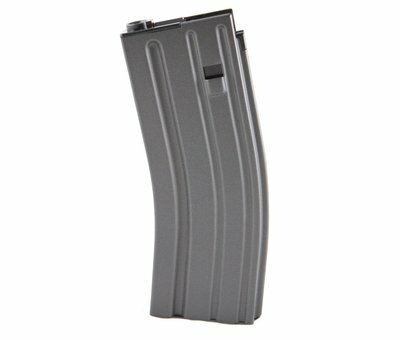 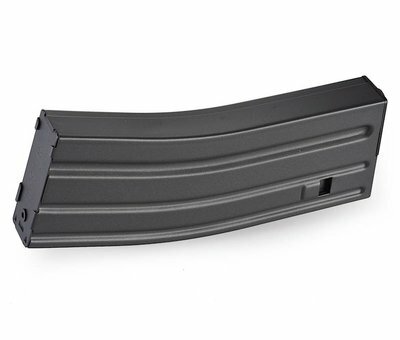 When the magazine is empty, firing the weapon will result in a "bolt locked" mode which prevents further firing until either a loaded magazine is inserted or the bolt release catch is pressed. 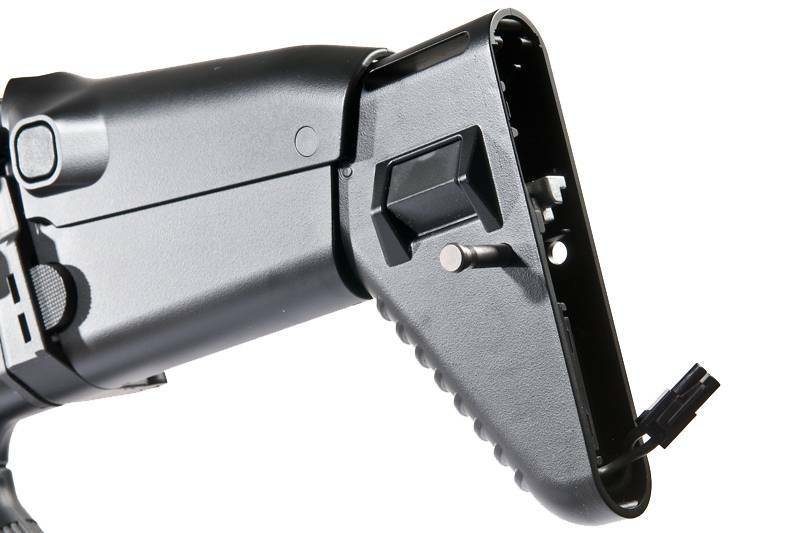 This feature is purely electronically controlled so the chances of jamming are extremely slim. The SCARs one piece metal upper forms a hulk of a backbone affording this weapon its well known solid and robust form. 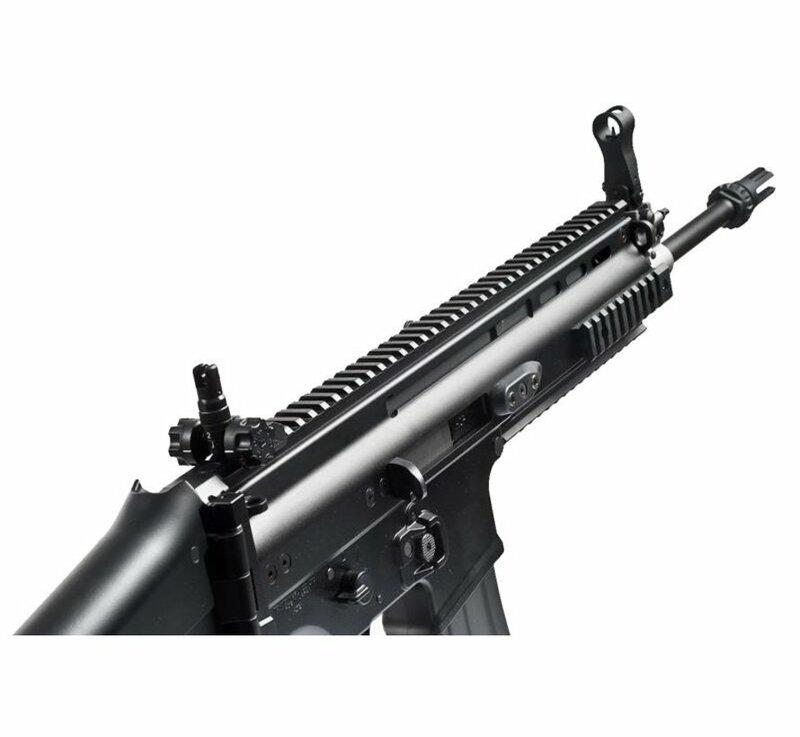 An accessory rail running along the top of most of the weapon incorporates a built-in slip up iron sight on the front and a rail-attach flip up rear iron sight but of course you are free to attach and rail compatible optics available on the market. 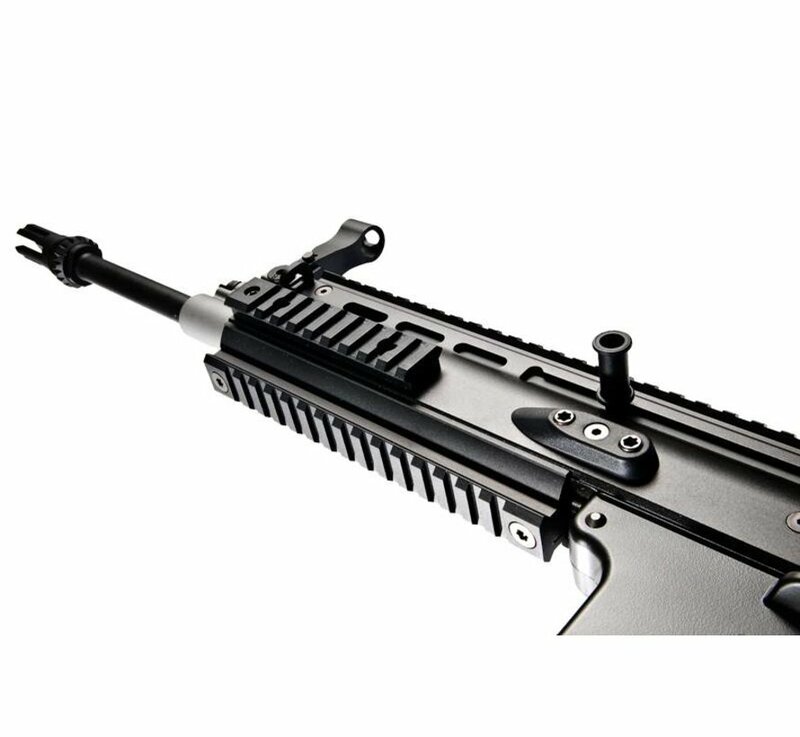 A short rail on the left and right and a mid length on the bottom completes the 4 surface setup of rails allowing a vast potential of accessory combinations whether it be as outlandish as a mono-zoom boosted holosight with PEQ and motion tracker or just a flash light. 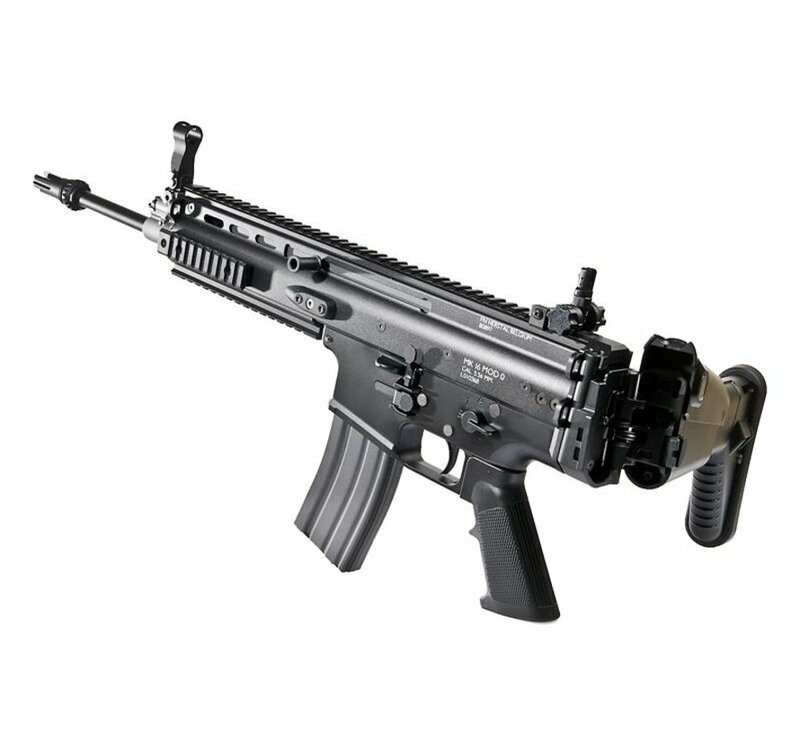 Taking a normal type small battery it clocks in with usual Marui power at a decent rate of fire and an accuracy and constancy rivaled by very few AEGs. 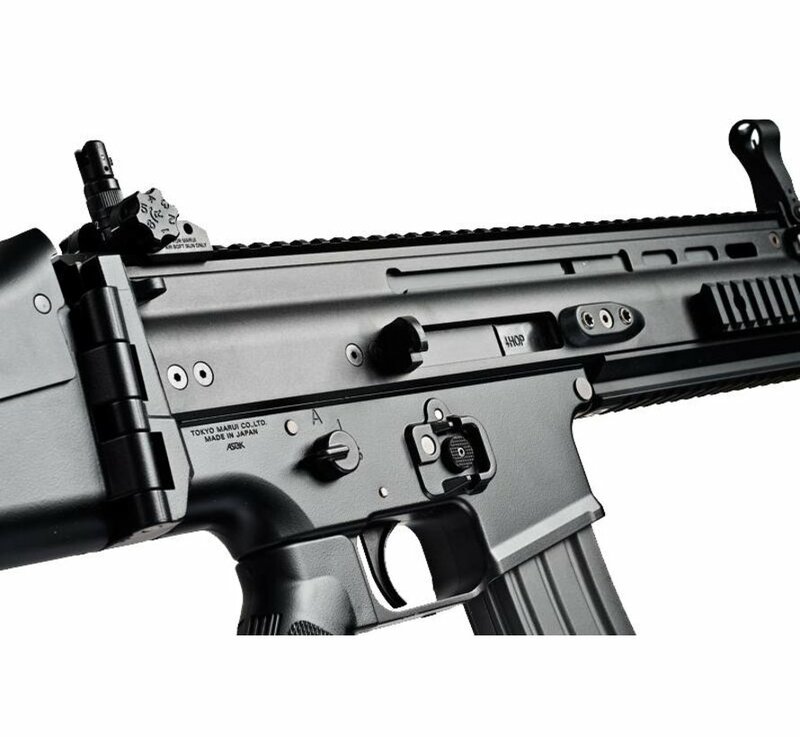 It feeds from an 82 round magazine which is just a tan version of the M4 SOPMOD magazine; indeed the SCAR is compatible with SOPMOD magazines and just like the M4 will not bolt lock with the high cap version.